Celebrate a special woman in your life and help us celebrate the 10th anniversary of Mikvah Chana and ensure the next 10 years by becoming a part of the Tree of Life campaign. 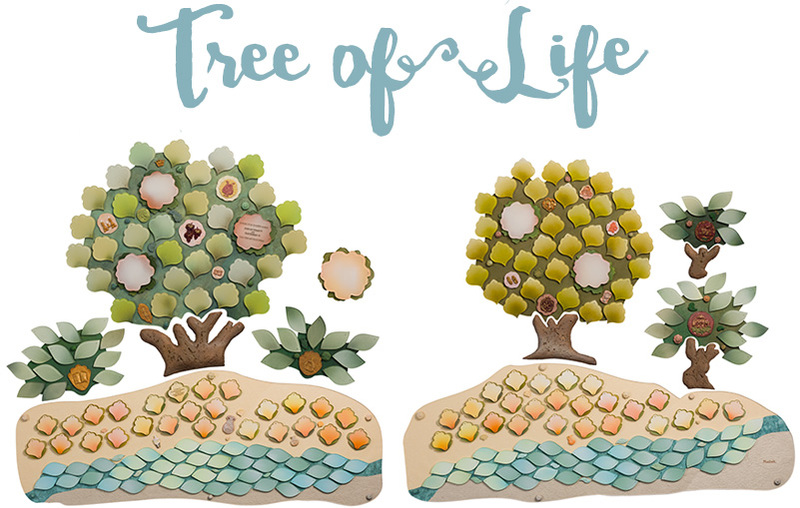 A beautiful hand-painted sculpture, the Tree of Life features trees with acrylic leaves set above waves of water. Renowned Chassidic artist Michoel Muchnik created the artwork specifically for Mikvah Chana. The Tree of Life growing at the river’s edge symbolizes water that gives life to all living things, similarly the water of the mikvah provides spiritual life to our families and the world. Recognize a birth, bat mitzvah, wedding or other special milestone occasion in the life of your mother, sister, daughter, grandmother or friend. Dedicating a spot on the Tree of Life is also a beautiful way to remember the life of someone who has passed, but whose memory lives on. Please indicate all names to be honored.